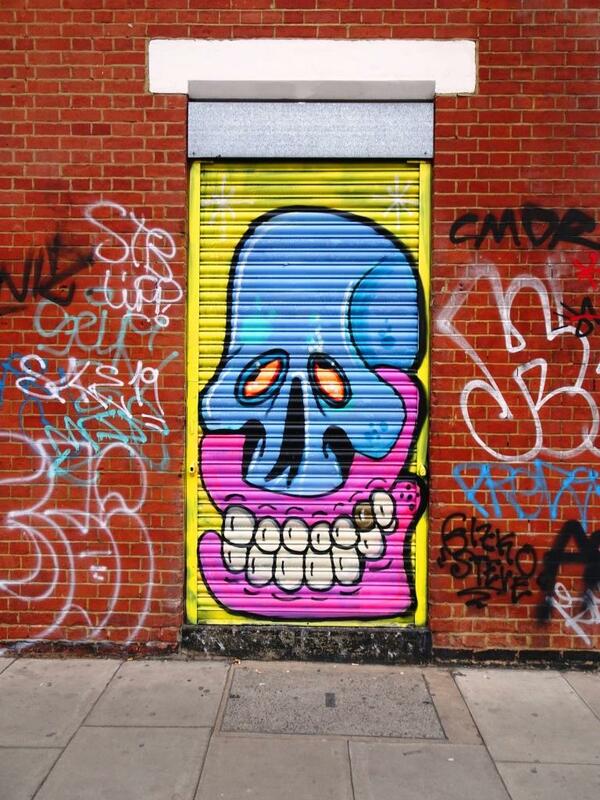 What a wonderful clean and colourful piece by Bristol-based Zase. There is rather a nice little story going on in this piece, and I love the sketch on the floor of the 3D writing of the artist’s name that appears on the right hand side of the piece. Zase has been painting solo for a little bit as his collaborator Dekor returned to his homeland for a while. It looks like this is by both of them, or at least it is signed by both on the bottom left-hand side of the piece, so maybe Dekor is back on the scene again. There is a serenity and maybe sadness about the piece, which is certainly one of my favourites of the festival. Oh yeah, and if you wanted evidence of the rain we had, the picture above is a little on the watery side…grrrrr.